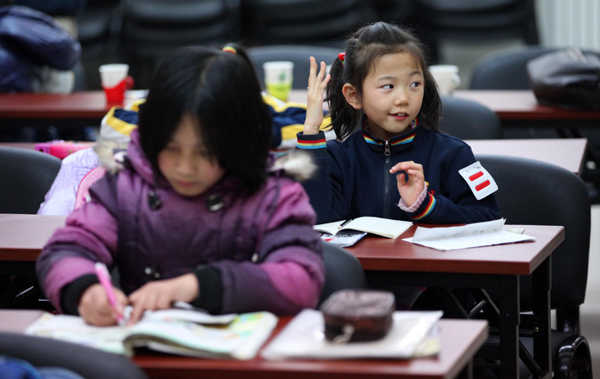 In an effort to improve the quality of education for migrant workers in China, the education authority in Beijing’s Chaoyang district will shut down non-government run schools and guarantee that migrant workers’ children will attend public schools. Private schools for the children of migrant workers have sprung up in Beijing, Shanghai and other large cities where the public schools do not accept children who do not have residence permits; however, many of these schools have been deemed unsafe for schooling and have not been officially authorized to operate. According to this article, “Over the past six years the Chaoyang education commission cut the number of schools for migrant workers’ children from 135 schools teaching more than 50,000 students, to 25 schools teaching 11,000 students.” These closures worry parents who fear their children will have trouble adapting to the public school environment. Australia: Class War in the Classroom? Amid debate over government spending on private schools, Australian Prime Minister Julia Gillard is in the process of negotiating a new school funding deal. Gillard wants to increase education funding by $6.5 billion a year, provided that reforms be implemented to improve teacher quality and student performance. As previously reported, Gillard’s goal is for Australian students to be ranked among the top five countries in math, reading, and science, by 2025. While her plan would increase funding for private as well as public schools, Opposition Leader Tony Abbott believes private schools will suffer as a result of the plan.